Celebrate Strong Women Role Models Today for International Women’s Day! Celebrate Strong Women Role Models for International Women’s Day! Today,” is a global day celebrating the economic, political and social achievements of women past, present and future” (Source: http://www.internationalwomensday.com/). Kathrine Switzer the original Marathon Woman is a strong role model for women in athletics no matter what age and for women everywhere . Katharine Switzer is know for pushing the rules at the 1967 Boston Marathon to become the first ever female finisher of the race. She was even challenged on the course by a race official who was determined to keep the race an all-male event. She finished the race and has gone on to be a strong voice for women in athletics everywhere and was responsible for pushing to have the Boston Marathon officially allow women entrants in 1972. Switzer was also the creator of the first women’s only road race. By breaking through gender barriers and challenging the limits of women in athletics Kathrine Switzer is the biggest reason that I am able to run in the Boston Marathon and her perseverance and drive is something that has inspired women to go after their dreams and to accomplish goals that were once seen as something that only males could do! 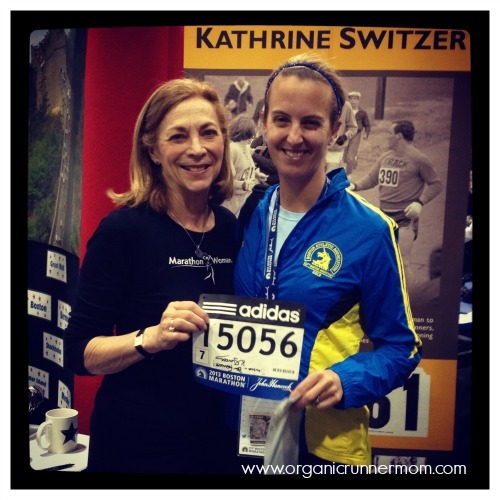 I hugely grateful for having had the opportunity to meet Kathrine Switzer at the Boston Marathon last year. She makes every dream seem possible! Who are some of your female inspirations? Take time today to thank them for how they inspire you and celebrate women everywhere! Thank you so much for the inclusion!!! That’s quite an honor!! I didn’t even know about this day, love it! Of course Amanda! I love your blog and the inspiration that you provide to women everywhere! I love that you did this – I am looking for new running blogs to check out as I an a new runner – also, how cool that you got a picture with Katherine!! She’s pretty inspiring!! Hi Emily! Thanks for checking out my blog! I hope you will continue to follow as I write about inspiration, recipes, gear reviews, race recaps and more. It was super cool to meet Kathrine! 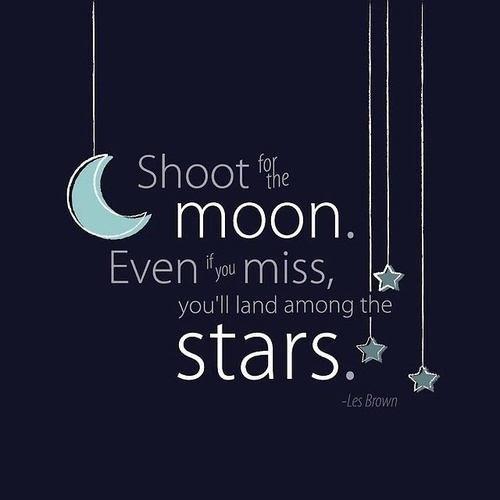 Are you training for any races right now? Happy running!